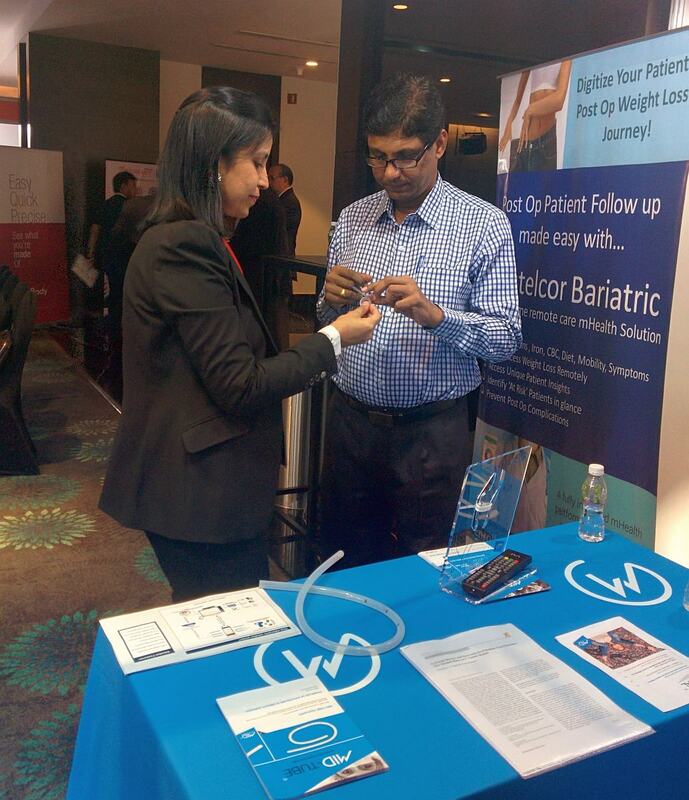 Mutelcor team showcased its state of the art digital health solution, Bariatric Patient Data Analytics (BPDA) – a remote patient monitoring platform for the Bariatric Surgeons to monitor and follow up bariatric patients post-surgery in 2nd Fellowship in Bariatric and Metabolic Surgery (FALS) workshop held in J W Marriott in Mumbai, India. The event attracted more than 150 aspiring Bariatric Surgeons from all over the country to learn the best practices followed by a live surgery. Bariatric Surgeons were given a live demo of the BPDA solution and several leading surgeons enrolled for a 2 month demo offered by Mutelcor. International Institute of Health Management Research New Delhi, a pioneer in establishing Health Management as a new discipline building health management leaders of future since 2008 conducted a 2017 Campus Placement Drive from 25 October – 30 November 2017. Mutelcor was among the key recruiters in Digital Healthcare industry segment. Key note speakers were Mr. Y K Gauba – Director, Business Development along with Ms. Shweta Moudgil – Manager, Business Development who interviewed the potential talents and facilitated on the spot selection for Internship and placement at Mutelcor, New Delhi office. Mutelcor showcased its Bariatrics Patient Data Analytics – remote patient monitoring and post op solution to the renowned bariatric surgeons and MOHAK workshop course directors Dr. Mathias Fobi, also known as Hollywood’s weight loss surgeon for his patented inventions and procedures that are now helping bariatric surgeons across the globe. 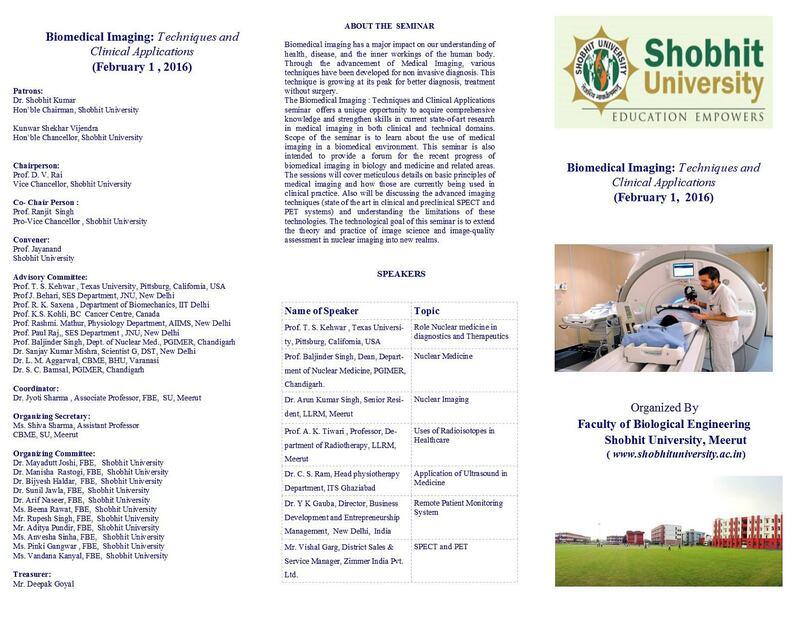 Both Dr. Fobi and Dr. Mohit Bhandari steered MOHAK International Fellowship Programme 2017 held in Indore for practicing bariatric surgeons. Mutelcor BPDA remote patient monitoring platform got many interesting reviews especially ‘An all integrated EMR’ in the BPDA solution that can solve many pressing ‘remote patient follow up’ issues including patient wise post-surgery weight loss data analysis. Team Mutelcor attended Medica 2016 in Dusseldorf, an event that attracts medical professionals and health IT companies from over 130 countries to showcase its IoT solutions for Digital Health, based on LPWAN technology. The showcase garnered interest from several Healthcare and medical devices manufacturing companies with products such as patient monitors, defibrillators, Pulse Oximeters, Cardiac Stents etc., who were shown a possibility of having sensor nodes inbuilt into the medical devices to auto transfer the health data using Mutelcor’s low power low range IOT technology replacing bluetooth. Mutelcor as an organization strongly believes that ‘Knowledge sharing is the best business practice’. In view of that Mr. Y K Gauba – Director, Business Development along with Ms. Shweta Moudgil – Manager, Business Development shared some interesting global insights on the introduction of Telemedicine, Mobile health trends and industry acceptance, scope of opportunities in the industry and futuristic outlook in the healthcare continuum during their presentation in the Seminar on Biomedical Research and Clinical Applications of Radioisotopes. The students gained new insights on Healthcare IT trends that will help them align their career goals to the industry requirements going forward. M utelcor team attended the India – Saudi Business Council Meeting held on 14th December 2015 at The Lalit, New Delhi. 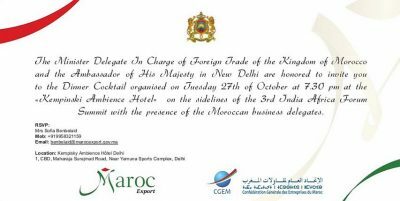 In view of the key discussion agenda, “Defining New Economic Paradigm” Mutelcor participated in the round table session and also interacted with the panelists that included Ambassador of the Kingdom of Saudi Arabia to India, Co – Chairperson Saudi Business Council, Saudi Commercial Attaché, Co-Chairperson – India Business Council, Executive Director – Overseas Infrastructure Alliance. Shweta Moudgil – Manager, Business Development presented the ‘burgeoning burden of healthcare costs in Saudi Arabia, a case in point Diabetes and how mobile health solutions can streamline remote patient management and reduce the overall Healthcare spends for Saudi Govt’ during the B2B discussions with Saudi Delegation. Mutelcor team attended the ‘Business Networking Dinner Cocktail’ on 27th October 2015 hosted by Minister Delegate in charge of Foreign Trade of the Kingdom of Morocco and the Ambassador of His Majesty in New Delhi. The key discussions involved the healthcare state of affairs in Morocco and scope of digital healthcare for the rural population in Morocco for better disease management. The Moroccan delegation was impressed with Mutelcor’s India study of Digital Healthcare for rural population as Morocco faces similar healthcare challenges. 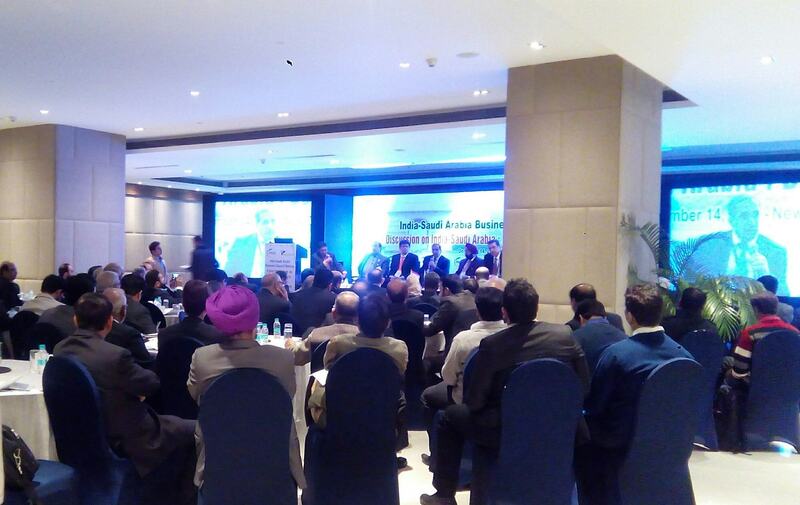 Mutelcor Team attended “3rd India Africa Forum Summit 2015” in New Delhi from October 26 – 30, 2015. 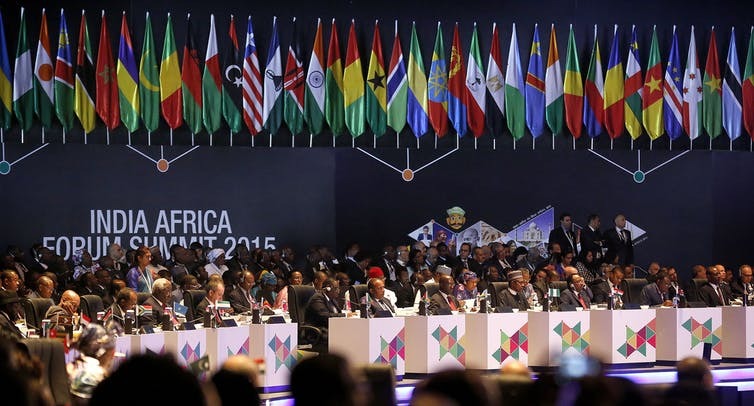 The summit has been India’s biggest diplomatic outreach involving the minister delegation from all 54 African countries. The inaugural ceremony was addressed by Honorable Prime Minister, Narendra Modi and Sushma Swaraj, Minister of External Affairs, New Delhi. The theme, “Partners in progress: towards a dynamic and transformative development agenda” aimed towards sustainable development in all segments providing an opportunity for Indian and African business sectors to collaborate and how India will become a development partner of Africa and provide assets and technology to transform development in Africa. Mutelcor team interacted with African delegates from various countries and sectors in B2B meetings and presented an interesting mix of technologies driving healthcare sector to go digital having the essential platforms to solve some of the most pressing healthcare and disease management issues in the African continent. Mutelcor team attended 18th Annual tech event Africacom held at CTICC in Cape Town, South Africa. The event attracted 10,000 attendees, 350 speakers and 375 exhibitors. Mutelcor participated in the 3 Day B2B Speed Networking Meetings, round table and panel discussions. 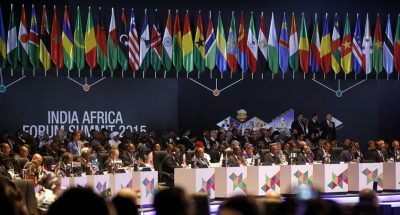 The key sessions participated were “Challenges of LTE Deployment in Africa”, “Introduction to 5G”, “Ensuring Seamless Roaming across Africa”, “Tools and Strategies for operators to become cost efficient in Africa”.